The Day a Judge told me to F Off ! As a long-time practitioner of Family Law, there are moments which stick in your mind, for one reason or another. Many years back, noting I’m qualified over 35 years, I was involved in a very sad Child Custody case. My client, the husband, had separated from his wife when their only child, a beautiful daughter, was very young. She was now eight years old. He had moved abroad for work and his daughter lived with him since she was a baby. 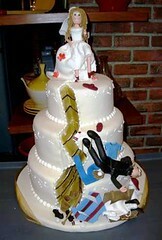 The wife unfortunately had suffered for many years from depression and on occasions, was institutionalised. They still kept in touch and from time to time, he travelled back so that his wife could spend some time with her daughter. Unfortunately, on one such visit home, the family of his estranged spouse decided to pressurize the child’s mother into hiding the child and when he arrived to collect her at 6pm as agreed, neither the wife nor his daughter could be found. He was traumatized and the next day arrived at my office to instruct me in the case. We wasted no time in issuing proceedings and made an emergency application to the Court to have the matter dealt with. Our investigations had revealed the location of both the mother and child. On the morning of the hearing, evidence was heard by the learned Judge who decided to that an early date for hearing was warranted and listed the case to come back before him in 5 weeks time. This was agreeable, although inconvenient for my client as he had to inform his employers, who thankfully, were accommodating. The matter of access was discussed and the Judge then decided that he was giving the father No Access, despite the fact that the child lived full-time with him ; that he had sole custody ; and the mother was not a fit person to look after the child, due to her recurring illness. It was her family that had in fact assumed custody of the child, not her. Needless to say we were infuriated with the Judges decision. Despite our endeavours there was no moving him. I then stood up and angrily stormed out of Court followed closely by my client. I was horrified when he asked me was it usual for a Judge to tell a solicitor to F Off ! Needless to say I was horrified as I had not heard the remark. I took a deep breath, composed myself and both myself and counsel headed straight up to the High Court and informed the presiding Judge of what had happened, bar the comment. He wisely ordered daily access for my client from midday until 6pm until the case was heard. When the case finally came back before the aforementioned Judge, he shouted out ‘Who appealed my Order ?’ Then he took a look at me and said ‘You, huh, doesn’t surprise me.’ He then went on to hear the case in full and rightly returned the child into the custody of the father. When we exited the courtroom the wife let out a cry which brought tears to my eyes. Regardless of the fact that justice was served that day, Child Custody cases are traumatic, not only for the parties involved, but also for the lawyers. LegalEagleStar Tuesday 3rd. November 2015. Why become a Lawyer…sure aren’t they only money grabbing Scum ! 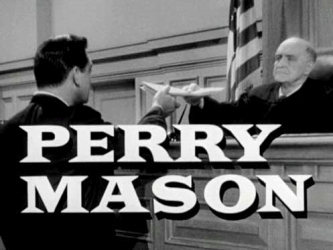 As a teenager, I was an enthusiastic fan of Perry Mason. I was blown away by his expertise. That man could save people accused and looking guilty. Of course they were innocent but it was only his expertise that exposed the truth. What a Guy. It would appear that Perry was an inspiration for a generation of lawyers. Later ‘idols’ included Ally McBeal, the lawyers at LA Law and more recently Denny Crane and Alan Shore, not to mention Shirley Schmidt, all at Boston Legal. What all of these idols represented was a pursuit of justice for their clients both rich and poor. During my College years in the mid to late 1970’s, I encountered a very diverse set of fellow students. There was the middle-aged teacher who felt that ‘it was time for a change’. He was a very genuine guy and told all that would listen to him, that his days teaching had come to an end and that he needed a new challenge. There was the Canadian businessman who wanted to come back to Ireland and felt that he wanted to pursue a career in law. My friend Anna was about my age, late teens, and had always wanted to be a solicitor. She came from a wealthy background but was a good person who wanted to do some good. Phyllis was a law clerk and had developed an interest in law and felt it was the natural progression, career-wise, to go to College in order to step up the ladder so to speak. Ann, who had numerous degrees already felt it was time, yet again, to go back and this time get a law degree to add to the numerous degrees she already possessed. She took us all under her belt and gave us the guidance we really needed. There was another Anne who was the daughter of a wealthy banker. She was really mature compared to me. She had her career planned out. Daddy had arranged this. She had brains to burn unlike me who felt somewhat overawed in such company. I must say they were a great support and source of encouragement to be during those years. While I was wildly idealistic, I was getting a real education in life itself. We were a diverse group but the one thing that we all had in common was our enthusiasm for the law. Many a debate, some heated, we engaged in and it was where I encountered politics or should I say Political Parties and the hold and influence they had on people. I saw that it was not only what you know but who you knew that seemed to determine your future. 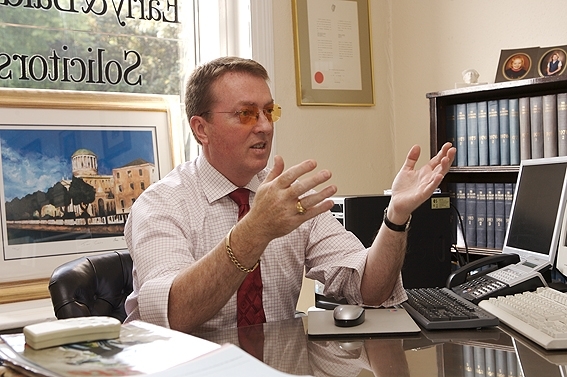 It was during my second year that I got involved with FLAC (Free Legal Advice Centres). I didn’t apply to join them but was so fascinated with a young enthusiastic female barrister,now a Senior Counsel, who literally threw me into the deep end, that I encountered a vast number of people who The System had ignored and needed our help. It was no time before I was in charge of FLAC in Ballymun and had to deal with numerous social based problems and in particular Family Law. What a fantastic group of people I was privileged to meet. They gave of their time and energy to give advice and indeed appear in Court representing people who could not afford to go into a Solicitor for advice. I must mention here that some firms gave of their time and expertise to help us and for that we were so very grateful. Without their help and letting us use their names to front our Court appearances, we would not have had access to the Court system to protect the rights of the most vulnerable and dismissed in our society. Well, the results were out. We all passed our exams, Thank God. I think my late father’s prayers had more to do with my success than the many hours spent trying to come to grips with the niceties of the law. We all headed our separate ways and ended up in one job or another. Personally I had a workload what with my involvement in FLAC. This followed me into practice as you just couldn’t hand it over to someone in the hope that they would look after the client. These many clients had become personal to me. I set up practice from my father’s house and with the support of my family I commenced to practice. The rest is history. I was lucky in that I was busy from the start. Apart from the numerous Free cases I did, I got work locally and over the first few years I was able to make a living. Most of my Classmates joined established firms and most stayed the course and are still practicing today. Was making money a motivation? It certainly was for some but I must say the interest in law was the major factor. For most of us making a living was the important factor as this gave us the energy and enthusiasm to pursue issues through the Courts that would make a difference to people’s lives. It was not glamorous standing outside the Family Law Courts attempting to settle cases. The deserted wife with four children attempting to live on £25 a week was not uncommon. The husband who deserted them claiming he wasn’t working, had no money, when the opposite was the case. Those were hard and tough times for these women and they relied on us to give them the chance to survive. While Ann and one or two others may have gone into banking, most of the rest of us dealt with the ordinary citizen and to be honest, I wouldn’t have it any other way. LegalEagleStar , Wednesday , 23rd. January , 2013 .